Vlora -also known as Vlore or Valona- is a south-albanian city of approx. 94,000 inhabitants and one of the oldest Albanian cities. 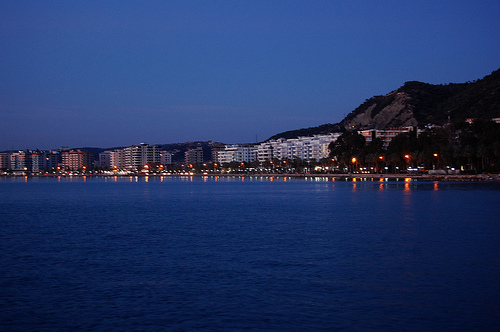 Albania’s 2nd largest port is situated here, the largest one is situated in Durres. 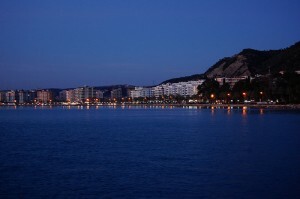 Vlora is situated at the Bay of Vlorë, and is surrounded by mountains. A particularity of this bay it is that it is considered as the frontier between the Adriatic Sea and the Ionian Sea. The island of Sazan is close-by, at the entrance to the Bay of Vlorë. Italy is just 70 nautic miles away. All around the town you’ll find gardens and olive groves. Just use the google map hereafter to get a clear idea where Vlora is situated in Albania and more generally in Europe. A map speaks more than 1000 words in this case.